Nudging aims to influence individuals or groups to act or behave in a certain way using gentle encouragement. It should make the behavioural change simple and easy, with little effort from the individual concerned. Nudge theory came to prominence through the book “Nudge: Improving Decisions About Health, Wealth, and Happiness” by Thaler and Sunstein in 2008. Possibly the best known example of the nudge is the fly etched on urinals at Schiphol airport resulting in lower cleaning costs. Its potential was seen across society with the British government even setting up its own “Nudge Unit”. A number of universities have been investigating the use of “nudge” to improve their campuses and enhance the student experience. In some cases these techniques are being used but are perhaps not always recognised as nudging. While a clear nudge example might be green footsteps, painted on the pavement, leading to a litter bin, a less obvious case would simply be positioning the bin in the right place and clearly marking the type of litter it should be used for. However, technology can help to nudge the individual and make it fun to use the bin. For example, turning a litter bin an arcade game – by depositing litter though different slots, as they light up, users achieve a game score. When looking at other technology based nudging, “the internet of things” is likely to play a role. As thousands of objects across the campus connect with the network, including vehicles, room sensors, lights, wearable devices etc. there will be increasing opportunities for campus users to be nudged, particularly by their mobile devices. We are already familiar with our activity being monitored by wearable devices and may well find that in tracking our movements we will be nudged, by messages and flags on our device, to take routes that make us work a bit harder – using the stairs, walking via an open space and so on. Also data on likely drive times, can be used to nudge campus commuters to take public transport or cycle. Providing enjoyable or rewarding feedback can also nudge campus user’s behaviour. One well know example is the piano stairs. A set of steps next to an escalator were refurbished to replicate piano keys visually and to play notes when stepped on. This resulted in more people using the stairs rather than the escalator. 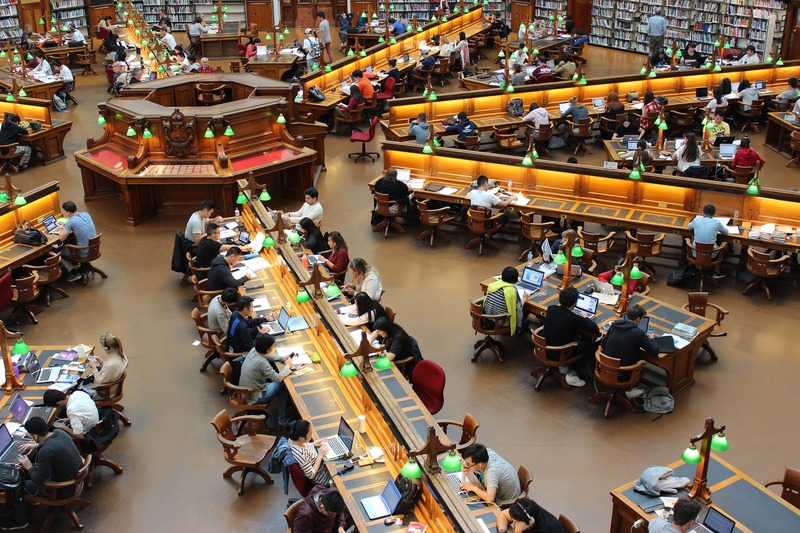 The improved use of analytics and student record systems is allowing a number of universities in the United States to identify “at risk” students, who might drop out, and nudge them, using messaging, to remind them of the help and support that is available. In the UK a experiment used text based nudging to improve student attendance and attainment at Leicester College and Manchester College1. This wealth of data about students could include financial information and identify students who are likely to be in financial difficulty. They could then be nudged towards special offers in food stores, free forms of entertainment and low cost meals. There has been some discussion of nudge overload since it has become more widely recognised as a useful technique. Constant automated nudging, through the internet of things and use of analytics, could be considered nagging, particularly to those who have become aware of it and possibly resentful of what could be seen as manipulation. Nudging, at its best, is subtle and occasional, not badgering. Although the definition of nudging has become very wide, with many marketing techniques being aligned with nudge theory, there are many benefits for universities and colleges that employ nudging intelligently across their campuses. The key will be to look for opportunities that are created by changes in behaviour, and particularly when the traditional approach is to give a negative message – “don’t drop litter”, “don’t miss your assignment deadline”, “you need to do more exercise” etc. The availability of knowledge about the personal needs of campus users, through analytics and the internet of things, along with improved understanding of behavioural change, means that nudging has the potential become a huge asset to the intelligent campus. Posted by James Clay on October 12, 2017 in use cases and tagged nudge, nudging.